Our purpose is to supply information that enables people everywhere to provide for their own & their communities' needs for food, energy, shelter, & a decent life without exploitation or pollution & from the smallest practical area of land. ...in a Permaculture Design Course! 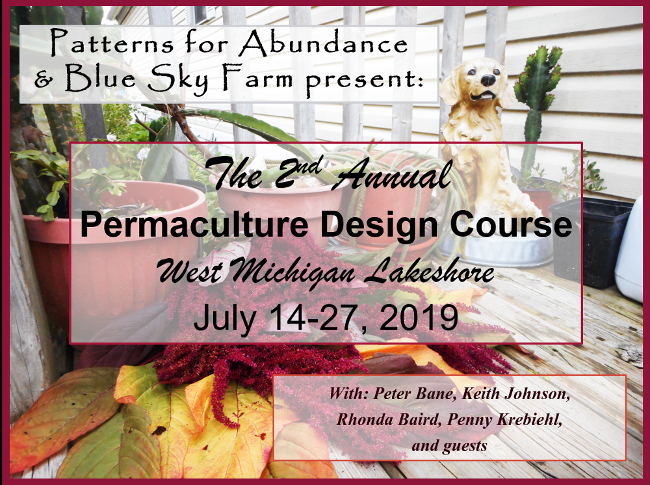 Permaculture Courses and workshops taught by Peter Bane, Keith Johnson, Rhonda Baird and associates. Instructors: Peter Bane (Dipl. Perm. Des. & publisher Permaculture Activist), Keith Johnson (Dipl. Perm. Des. & Patterns for Abundance), Rhonda Baird, and guests. Midwestern natives, Peter, and Keith have between them facilitated over seventy permaculture courses and led groups from four to over a hundred students and between them have graduated more than 2300 design students. They have gardening, building, design, and teaching experience in all regions of the United States. Peter Bane published Permaculture Activist magazine for over 20 years and has taught permaculture design widely in the temperate and tropical Americas. Author of The Permaculture Handbook, he is a native of the Illinois prairie whose interest in good food and simple living led him at mid-life to become a writer and teacher of permaculture design. 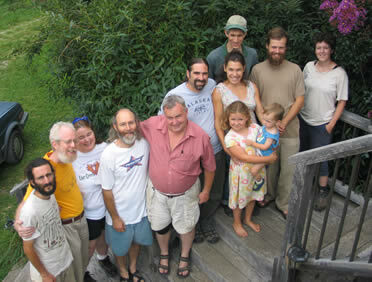 Peter serves on the board of PINA (Permaculture Institute of North America). He is also a co-founder of the Great Rivers and Lakes Permaculture Institute, a regional hub in the PINA network. He was also drawn into the arcane world of intentional community as fate presented the opportunity to help create and build Earthaven Ecovillage in the southern Appalachian Mountains. There he discovered his inner architect in the course of building a small off-grid solar cabin and later took on the more prosaic job of rehabilitating a pair of suburban ranch houses in the Midwestern college town of Bloomington, Indiana. Peter has earned a string of diplomas in Education, Media, Community Development, Trusteeship, and Site Design from the Permaculture Academy of Britain, the Permaculture Institute, and PINA. In 2014, he began building a new garden farm on 10 acres of sand in west Michigan with partner Keith Johnson. Blue Sky Farm emerged from these efforts, and the two have since moved into an energy-efficient, climate appropriate, multifunctional solar building in the breezy Lakeshore region. There they are developing hedgerows, orchards, productive gardens, renewable energy, programs of rotational grazing with small animals, and sustainable management for their 6 acres of oak woods. A prolific writer in journals and collections on forestry, building, and all things permaculture, he has turned his attention in recent years to climate cooling, and through PINA and GRLPI, to organizing permaculture graduates into an effective force for good in the Energy Descent Era. Keith Johnson was raised in Michigan’s Upper Peninsula (where he learned at an early age he was related to Johnny Appleseed), and has been a commercial landscaper, stonemason, and organic gardener since 1976 in places as varied as subtropical Bay Area of California, the White Mountains of New Hampshire, Michigan, & the mountains of W. North Carolina. After devouring Permaculture One in 1978 he continued to learn all he could on the subject. He’s been teaching Permaculture since ’95, has instructed more than 1200 students, many of those through Indiana University’s annual Design Course which began in 2003. He’s taught or trained with Bill Mollison, Larry Santoyo, Tom Ward, Penny Livingston, Peter Bane, Chuck Marsh, Andrew Goodheart Brown, Albert Bates, Starhawk, Jerome Osentowski and others. Previously resident in Bloomington, IN (now, Montague, MI), Keith participated in a number of local activism projects including the editorial guild of the Permaculture Activist, the founding of Transition Bloomington (Indiana’s first Transition Town Initiative), past board member of the Local Growers Guild, contributor to Bloomington’s Peak Oil Task Force, member of the Bloomington Permaculture Guild, past member of the Bloomington Food Policy Council and the Trillium Horticultural Park Project. A frequent public speaker and radio interviewee, he works constantly to share a vision of cultural and ecological regeneration and continues to provide ecological design and consultation services via Patterns for Abundance. 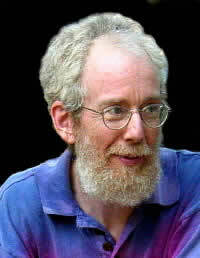 He is also web manager and assistant editor of Permaculture Design Magazine. Keith holds diplomas in Education, Design, Site Development, Community Service, and Media from the Permaculture Institute and diplomas in Teaching and Design from PINA. Rhonda Baird is a permaculture educator and designer; homeschooling mama; and community organizer. She and her family are nestled in Bloomington, Indiana. Rhonda is a seventh generation Hoosier, with deep ties to the forested hills and rivers of southern Indiana. Though permaculture practice began formally for her in 2005, she grew up in a working-class family that had multiple gardens-incorporating fruits, shrubs, and animals into the patterns and rhythms of those sites. Her family also preserved seed, propagated young fruits, foraged on nearby public lands, and was active in forestry. In 2005, Rhonda “stumbled” into a Permaculture Design Course with Peter Bane and Keith Johnson and never looked back. She began apprenticing as a teacher and after the first year, began working as a designer and offering independent workshops as well as coordinating the Bloomington Permaculture Guild. In 2008, she began working with The Permaculture Activist. 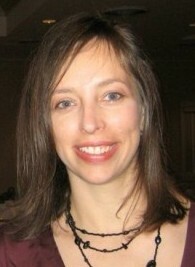 In 2010, Rhonda joined the board of the Association for Regenerative Culture. Rhonda heads the Field Advisor Working Group for PINA (Permaculture Institute of North America). She is also a co-founder of the Great Rivers and Lakes Permaculture Institute, a regional hub in the PINA network. Her design business is Sheltering Hills Design. She holds diplomas in Education and Site Design from PINA, and serves as the Editor of Permaculture Design Magazine. Do you know where your food and energy come from? Where your waste goes and what’s being done with your money? Permaculture problem-solving leads to sustainable lifeways that nurture people and planet. During this magical fortnight, our team of world-renowned and locally grounded teachers will create a stimulating atmosphere for group learning, giving you the tools to practice regenerative land design. Join us for this exceptional opportunity in the friendly White Lake community. West Michigan’s wonderland of natural beauty, between lakeshore dunes and wooded ridges, and the emerging garden farm and homestead systems of Blue Sky Farm will provide us a laboratory for exploring carbon farming, the mycelial internet, polyculture gardens, home food preservation and storage, regenerative forestry, energy-efficient building science, and the circular economy. Teachers from across Michigan will contribute to enriching this residential intensive with their hard-won experience in animal management, appropriate technology, and community development. We will present the 72+ hour curriculum recognized by Permaculture Institute of North America (PINA) covering ethics, principles, design process, pattern knowledge, natural systems of soil, forests, and water, along with climate and microclimate adaptations, food and fertility systems, urban and village design, architecture and building methods, economics and finance. We will wrap up with team design projects to be implemented on the ground. Come and practice observation and drawing, small-scale earthworks, tree care, waste reduction and redirection, and learn the arts of simple everyday living in community. We will have time to tell stories, make music, and swim in the lake, while we reflect together on the urgent challenges of our times, and find renewed commitment to a better world. A veteran of 100 courses in five nations, Peter Bane is the author of The Permaculture Handbook: Garden Farming for Town and Country, and an accomplished ecovillage designer. He holds diplomas from the Permaculture Institute of Britain, PINA, and the Permaculture Institute-USA. Rhonda Baird is a community and labor organizer, homeschooling mother, fiber artist, and gifted educator. UP-native Keith Johnson is a market gardener, seed saver, and landscaper extraordinaire. Both he and Rhonda are also PINA diplomates in Education and Site Design. Penny Krebiehl is a graphic facilitator, trained permaculture educator, market farmer, and a board member of the Great Rivers and Lakes Permaculture Institute. She helped organize the first-ever Michigan-wide Permaculture Convergence at Brighton in 2013. Course materials, tuition, meals, and camping in our managed woodland are covered by the registration fee. Commercial lodging is available locally by private arrangement. The $150 deposit is non-refundable if you withdraw before completing enrollment, but fully refunded if the course should for any reason be cancelled. The final cost is determined by the date you complete payment: by Dec. 1, ‘18 - $995; to Jan. 15, ‘19 - $1100; to March 1 - $1200; to May 1 - $1295; by June 30 - $1395. Full or partial payments are accepted at any time. 3% is added when using Paypal. A limited number of partial scholarships may be available to support enrollment by people of color, recent immigrants to the USA from Two-thirds World countries, and Native Americans/ First Nations peoples. Instruction is given in English. To apply for scholarship, send a letter of intent describing your circumstances and how you would apply permaculture training in your community. Scholarship fund donations may be made via greatriversandlakes.org. For information or to register, contact: Peter Bane, 812-335-0383, PcActivist@mindspring.com. Early registration saves you money. 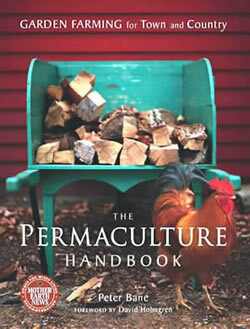 If you pay by check (and save 3% not paying Paypal), make it out to Permaculture Activist, PO Box 182, Montague, MI 49437. In a world of diminishing resources and increasing stresses on natural and social systems we must rapidly implement strategies to restore degraded landscapes, shelter and feed displaced and hungry people, and convert our energy-wasteful infrastructure to holistic and ecological systems that meet their own needs and the needs of those who manage them. This course lays the foundation for understanding the workings of natural systems and for designing human environments that produce food, shelter, and energy. It also provides participants with models of community development and extension by which they can create networks of support for themselves and empower others to do the same. "To my mind the very act of enrolling for a permaculture design course is one of the most political acts most people ever engage in. Since I have certified over 3,000 people I feel that I have helped create a small village of active, engaged and aware folks who now have the tools to change the reality around them - and many of them are very busy doing just that. The very act of reading "Permaculture - A Design Manual" is extremely radical and political as the information and realizations sink in of the ultimate outcome of following the permaculture path. The beauty of permaculture has always meant, to me, that I can travel all over the world, in some of the most brutal dictatorships, espousing a revolutionary system of design and I am considered harmless by the powers that be. That is an incredible advantage in a world that has become increasingly polarized by the paranoia of rampant capitalism and lack of ethical guidance. Within the ethical guideposts of permaculture are contained all the political guidance one could need." Since 1978, tens of thousands of individuals on all continents have learned and taught to others the principles of energy flow and materials cycling, and the simple appropriate technologies of self-reliant living: gardening, shelter, water and waste management, aquaculture, forestry, and how to organize supportive local economies. The aim of this grassroots international movement is to liberate people everywhere to provide for their own and their communities' needs for food, energy, shelter, and a decent life without exploitation or pollution and from the smallest practical area of land. Please read David's introductory PDF, The Essence of Permaculture. What Kinds of People Take Permaculture Courses? Thousands of people from all over the planet! Gardeners, farmers, homeowners and prospective buyers of land and homes will benefit from the energy-saving and productive insights of permaculture, while students and professionals in the fields of ecology, agronomy, resource management, architecture, and planning will find their work enlivened by the holistic and interdisciplinary perspective of the course. Community development and aid workers, real estate brokers, municipal officials, and religious leaders will find practical and creative applications for permaculture design in their respective fields of endeavor. Renters & Homeowners: Learn simple steps to improve your home ecosystem and your immediate surroundings while saving money, resources, and building a healthy habitat for family, friends and neighbors. Planners & Managers: Learn how to integrate sustainable design methodologies into the planning process using a multi-disciplinary approach for the well-being of the whole community. Municipal, State & Federal Employees: Improve public service & work efficiency and community benefits via creative land, water, and air resource management techniques. Building Design & Construction Professionals: Learn about current practical systems of natural building, as well as how to integrate land-use design into the built environment. Landscape Architects, Designers & Gardeners: Learn principles and techniques of sustainable landscaping, with an emphasis on functional, edible, and economic plants, the creation of microclimates for extended growing seasons, and rainwater harvesting. Social Workers: Acquire tools for empowerment and new dimensions in place-based professional practice applicable to micro through macro change processes. Non-profit & Community Leaders: Integrate ecological design, professional networking, and social marketing approaches to advance your mission and programs. Entrepreneurs: Explore how ecological models can be used to design, develop, implement, and manage a sustainable business venture. Students & Educators: Integrate ecological systems design and social/environmental change practices into your academic studies. Clergy: Add a whole systems perspective to your ecological / green ministry. Participants from over 100 countries in all regions of the world and from all walks of life have called the permaculture design course "life-changing, transformative, and enormously affirming." In the lively company of a diverse group of engaged and motivated women and men with a common interest in the future of humanity, learning is rapid, multidimensional, and long-lasting. Upon completing this course participants will receive a Certificate of Apprenticeship in Permaculture Design from the College of Graduates of Permaculture and will be entitled to use the term Permaculture in their professional work. Generally, students are encouraged to apprentice with other designers for two years. Prospective teachers should aim to gain experience through a permaculture teacher training course and practice teaching with others for a comparable period. This course presents 72 hours of the standard certificate curriculum. The Instructors: Midwestern natives Peter Bane, Dipl. Perm. Des., and Keith Johnson have between them facilitated over 50 permaculture courses and led groups from four to over a hundred students. They have gardening, building, design, and teaching experience in all regions of the Americas. Both instructors live in Bloomington, Indiana. Cost of thePermaculture Course averages about $800 to $1400 with some charging more for extended duration. The weekend series format usually costs less because food and lodging needs are greatly reduced. Evidence of systemic ecological and cultural crisis; derivation and evolution of ethics; spirals of degradation and the etiology of health; energy and entropy; the Permaculture innovation and synthesis; roots of permaculture knowledge; principles of energy efficient design, language and terms; exercise in observation of landscape; the nature of pattern in form, orders in natural phenomena; application of pattern to design; design process, purpose and methods. Principles of ecology; energy flux and materials cycling; conservation and diversity; guilds; cooperation; niches; forests as organism; climate, global weather patterns, and biogeography; forest impact on climate and the hydrologic cycle; functions of the tree; landscape analysis; the nature, sources, and value of freshwater; water's duties in the landscape; water movement, storage, and purification; water in the domestic system. The soil community; oxygen/ethylene cycling and nutrient availability; soil biota regimes, mycorrhizal associations; carbon/nitrogen and other nutrient relationships; tropical and temperate soil conditions; building soil; physical properties of soils and soil testing; climate near the ground; factors in microclimatic design; windbreaks; moisture and humidity effects; modifying sunlight and capturing solar gain; thermal zones and frost pockets; limiting factors in living systems; exercise building swales, ponds, trellises, and/or brush fences; use of leveling devices. Design of the home system; zone and sector analysis; placement of elements for beneficial function; the domestic economy; staging of development in small permaculture systems; building design, materials, methods, and examples; conservation of energy; building as organism; nutrient cycling in the domestic system; biological treatment methods for human and animal waste: compost, constructed wetlands, biogas; urine as fertilizer. Energy advantages of aquaculture; designing aquatic systems; water quality and species composition; animals as energy translators; their utility and efficient management; self-forage systems; intensive grazing; silvopasture; agroforestry systems; forest gardening and farming; alley cropping, coppice-with-standards; ; orchards as floristic communities; principles of pruning and tree health; useful plants and planting strategies; guild assemblies; plant identification, plant families, nomenclature; wildcrafting; establishment of nurseries and intensive small systems; economics and rolling permaculture. Self reliance and food security; the year-round harvest; methods of food storage and adaptation to climate; garden design, establishment, and methods; exercise in sheet mulch bed preparation; short design exercise in creativity; tools and their energy implications; choosing appropriate technologies; favorite tools. Patterns of human settlement; city and regional design; orders of magnitude; the village as building block of human community; building cooperative networks, organizations, and communities; resource inventories; business incubators; principles of economic design; how money works; the problems with present financial systems: interest, corporations, taxes, planning; community-based financial systems; the use of maps; simple methods of mapping; the integral urban house; resources in cities; appropriate scale for conviviality, economy, and security; components of village life; new village development; designing for human cooperation and interaction. Resources for further work; the permaculture movement; continuing education; how to organize locally; making a living; future visions and participant evaluations. Review of Ethics and Principles; pattern languages; site analysis exercise; mapping & field surveying exercise; introduction to client interview, cost & budgeting, earning a living. Small group projects for real clients son or near the course venue; mentored, hands-on design work involving application of all presented skills; site observation and analysis, mapping, client interview, conceptual design, mind mapping, and presentation. Introduction of presentation skills; several opportunities for planned and impromptu presentation to the whole class; formal presentation in group of the team design with sketches, maps, speech, and other modes of work. Urban and Village systems; farm landscapes; design for wildlife; restoration and earthworks; economic design including financial systems; land access, regional strategies.